War Thunder remains in 1st place for the 11th week in a row and Rainbow Six Siege has finally overtaken Everyday Genius: SquareLogic to reclaim its spot in 2nd place again, pushing the Sudoku-like puzzle game to 3rd place. Civ V has once again shot up the list thanks to a couple of multiplayer games amongst the Choicest Games crew (one was an abysmal failure but the other is still a work-in-progress). Borderlands 2 has gone up one place since last week and is now in 5th place while Company of Heroes has dropped from 4th place last week, to 6th place this week. 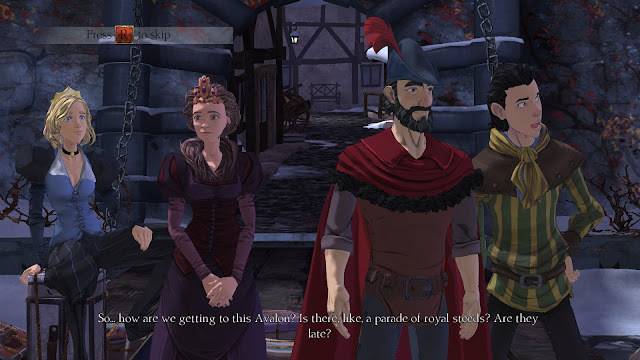 King's Quest is back on the list at 7th place due to me trying out the recently released fourth chapter to this episodic adventure game and Her Story has dropped from 5th place last week to 8th place this week (mainly because I've finished the game :)). Audiosurf remains in 9th place and Call of Duty Black Ops has dropped from 7th place last week to 10th place this week.